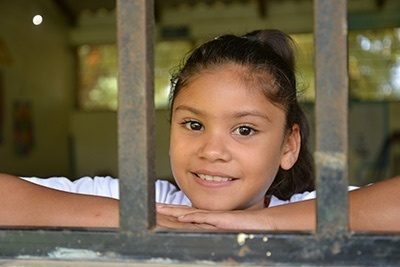 In eastern Honduras, 9-year-old Nirvana will soon receive clean water from World Vision. As parents, it’s much easier to talk than to listen. But listening is what our children need us to do. It’s a hallmark of World Vision’s work to involve everyone in decision making — men, women, and children. Every year on November 20, Universal Children’s Day reminds us to listen to children around the world, children who see problems from a point of view that we adults have long forgotten. 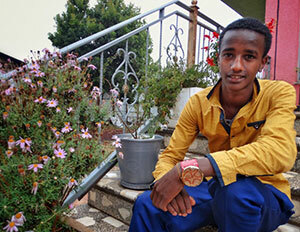 The Gurage area is located 195 kilometers southwest of Addis Ababa, the Ethiopian capital. People in this area are known for being hard workers and successful entrepreneurs. Along with that commendable trait, comes the fact that they prefer to lead a very cautious and quiet life, causing others to perceive them as submissive and meaningless. Gurage is a place where people still hold onto this dangerous cultural practice that can effect children and women specifically. The demeaning word used for them is tokenet,which means minor or insignificant. This attitude makes them feel dejected, rendering them incapable of standing up for themselves over time. Those who are labeled are not allowed to take part in any cultural activity or public gathering.